B+P Sweden: Birn+Partners expands in Sweden and welcome Adam Lewenhaupt…..
Adam has held manager positions such as CEO, Marketing Director and Sales Director and Business Unit Manager in international companies focus on IT companies such as IBS, EVRY and Transport & Logistic companies such as Bilspedition, Scansped. Adam has more than 30 years experience in sales, marketing, leadership & management, IT and entrepreneur sectors. 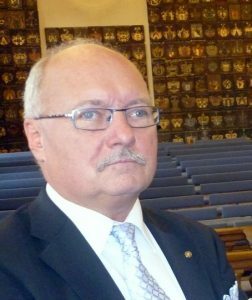 He has a well known record as a board member for many organizations and companies , as chairman of Green Link , an Scandinavian organization with Stena Line. Halmstad Harbor and Grenaa Harbor, the target was to worked for better logistic in EU, he put the transport link between Scandinavian and Europe on the map.